Video production, marketing, and advertising requires strategy if you expect to achieve success and ROI with it. In a competitive market like Toronto, video marketing strategy must not be left to chance. Yahoo recently partnered with Nielsen & Hunter Qualitative to research exactly how to make video ads most effective, and their report yielded some strategic insights that should definitely be considered when planing a video marketing campaign in Toronto. • Mobile alignment: According to Yahoo’s research, video ads must be optimized for screen alignment. In other words, viewing a landscape ad horizontally compared to vertically, can increase brand affinity by 20%. It can also raise purchase intent by 33%. Viewing a portrait ad vertically compared to horizontally can increase brand affinity by 80% and can raise purchase intent by 100%. • Reaching Millennials: Comedic ads drove a 50% raise in brand familiarity with Millennials, compared to overall viewers. Dramatic/ emotional ads drove a 33% raise in brand affinity with Millennials. 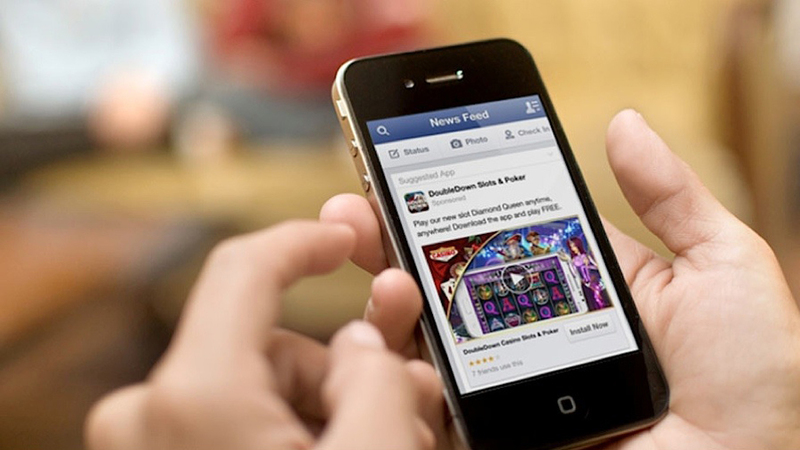 And informational ads drove a 31% lift in purchase intent. • Auto-start native video ads: Compared to user-initiated video, this new research shows auto-start video ads in native environments achieve 51% higher aided recall, 10% higher brand familiarity, and 4% higher affinity. It’s hard to argue with powerful statistics like this. When planning out your video marketing campaign, it’s important to optimize mobile alignment, target Millennials, and utilize native video ads following the results of this study. Incorporating these into your video production marketing strategy may just give your company the edge it needs to capture attention in the Toronto market and set you aside from your competition. We’ve stated many times that research and analytics is paramount when launching and maintaining a video production marketing campaign. Video production can be expensive and Toronto based companies must know which video genres catch the most attention and how well campaigns are doing as they go along. If you are planning a paid online video campaign to boost visibility and brand awareness you’ll need to set key performance indicators (KPIs) for that campaign. This kind of research and analytics is considered best practice among the top online marketers in north America. • Build your subscriber base. A loyal fan base will watch almost anything you upload. DisneyCollectorBR has over 3.5 million subscribers which is why they get a huge amount of views. • Adjust and revise your titles and description. This is one we’ve mentioned in the past. Test what works, and then test it again. Test your custom thumbnail images as well to see what works best. • Make sure you upload your videos to the right category. This can be changed after you have uploaded the video. • Pay for an ad campaign. • Connect with other brands to expand your audience reach. Researching statistics like the ones listed above can greatly help you in choosing the right genre of video to produce and can help make your video marketing campaign a successful one. We all know how competitive the Toronto market is and that everyone seems to be launching hefty video marketing campaigns these days. However with the right research and planning, your campaign can be a tremendous success making your company standout in this highly competitive city of Toronto. Building a community around your Toronto based company and connecting with your audience is paramount. Research has shown time and time again that video production is the key to attaining this. In fact, live video streaming is now becoming more and more of a wide spread tool for Toronto companies of all sizes. Live video streaming has been utilized for many years but due to costs for this kind of production, it has only really been viable for large (and sometimes medium size) corporations. From insider video announcements to live Q&A sessions, product launches, press conferences and more, live streaming has the power to take your brand awareness to the next level and build on your existing audience. Although live video streaming has been out of reach for most micro size to small companies throughout Toronto, today there are apps that can allow anyone to tap into this effective form of video production. 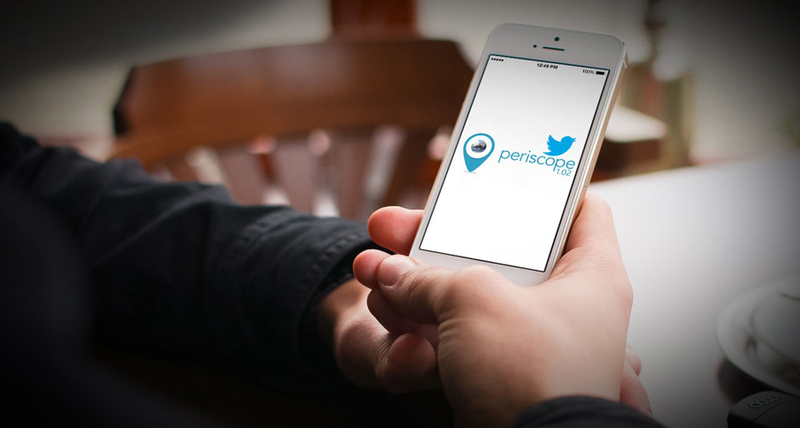 One such app that is taking the live video streaming world by storm is Periscope. Another very popular platform is Facebook LIVE video and Instagram has also recently added live streaming videos to their offerings. The Periscope app was acquired by Twitter in February of 2015. Since that time, it’s become one of the leading live video streaming apps available. Periscope enables you to go live using your mobile device. The app basically enables anyone to become their own on-the-fly broadcasting station, streaming live video to any viewers who join their broadcast. Periscope truly takes advantage of its mobile platform, incorporating notifications as well as social sharing (on Twitter), live discussions and feedback. Although Periscope has been used mostly by vloggers and bloggers, there are many ways Periscope can be utilized for business and it can really allow you to showcase public speaking abilities. Once a live broadcast is over, your audience can watch a replay, and even send feedback through the Periscope app for up to 24 hours. After that, the broadcast is taken down from the app. That said however, each of your broadcasts can be saved to your mobile device and then published and shared online just like any other video. Best practice here is to post these Periscope videos to the platform that is home to your primary video audience (i.e. Youtube, Vimeo, Daily Motion, etc). Posting your Periscope video gives it a place to live that lasts longer than 24 hours and it also gives you an opportunity to promote future Periscope video broadcasts. There are however technical issues that can come with using live streaming apps like Periscope and Toronto executives shouldn’t dive into tackling a live video stream without professional support. Just as with any other professional video you’re planning to produce, it’s always best to hire an experienced corporate video production company like Groovy Concepts to handle your live stream. Spending the money is well worth it to avoid embarrassment. You certainly wouldn’t want your video to cut out in the middle of the broadcast which is a typical occurrence for vloggers. Common amateur mistakes can be disastrous! For instance, if someone happens to call you during your Periscope Broadcast, you’ll be knocked offline, your broadcast will be over, and your audience will be annoyed to say the least. Always remember to block your calls temporarily prior to a live broadcast on Periscope. Also, not knowing the range of your Wi-Fi network can also knock you offline very quickly. Don’t go walking around in the middle of your Periscope Broadcast unless you know the range of your Wi-Fi network and that you are well within it. Also, some rooms have better signal than others… stick to filming your broadcasts from these rooms wherever possible. Disastrous technical issues can be avoided completely when an experienced professional video production company is involved. Ideally, it is always more reliable to simply hire a reliable company with access to professional live video streaming production equipment. At the very least it is advisable to get a full consultation and in depth how-to from an experienced professional. That said, using an app such as Periscope correctly can allow your Toronto based company to tap into the power of live streaming video and can even extend your audience reach throughout the globe. Video is quickly becoming the norm on Facebook and brands and corporations throughout the world are working extremely hard to capitalize on this platform to drive interest and sales to their products and services. What this means for Toronto companies is that if your video production marketing campaign doesn’t include Facebook & Instagram, you’re missing out on huge marketing potential. In January 2017, Facebook reported its financials for 2016 and provided a ton of important facts about the importance of video for Facebook and the huge amount of engagement it generates. Mark Zuckerberg, Facebook founder and CEO, said that “2016 was a great year for Facebook. Our community continued to grow and our business is thriving.” The results confirmed a steady revenue increase of 44%, as well as a 21% growth in monthly active mobile users. But what about with Facebook’s video feature? Has this been paying off for the social networking site? 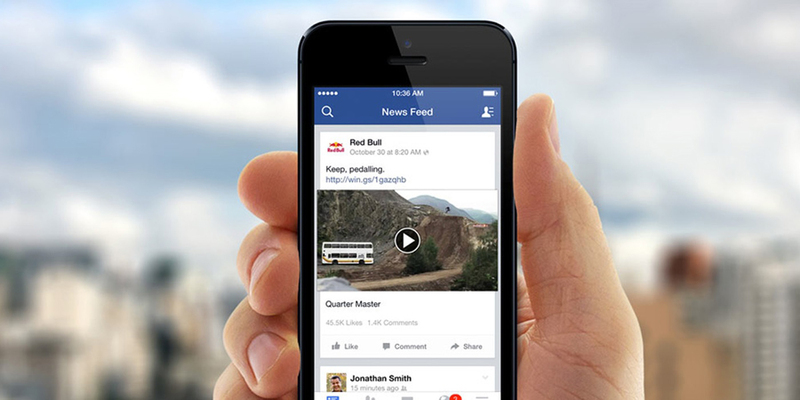 It appears so as Facebook viewers now watch an incredible 100 million hours of video every day. Zuckerberg confirmed that “Video is an important part of the Facebook experience”, and the company is continuing to invest in video. According to Tubular, typically 1.8 million videos are uploaded every week, generating 31.6 billion views. Zuckerberg also confirmed that the Instagram (owned by Facebook) “community continues to grow,” but he didn’t update the 400 million monthly active users that was announced back in September 2015. He did state that the new looping Boomerang app for the platform reached #1 in the App Store in more than 70 countries. Instagram also launched a new video channel so viewers can catch up on big tent-pole events like New Year’s Eve, and College Football. Facebook and Instagram’s video features have grown leaps and bounds already but are heading towards exponential growth in the future. These platforms can no longer be ignored by marketers. But I know what you’re thinking: “Ah, great…so now, on top of creating clever online video campaigns, we now also need to plan out and create clever video campaigns customized for Facebook and Instagram too? How can we find the time for all this?”. This is where Toronto video production companies like Groovy Concepts come in. What makes Groovy Concepts different from other video production companies in Toronto is that we have a keen understanding of media trends and provide full concept, script and campaign development so that across all platforms your videos will capture viewer attention in under 3 seconds; essential for social video. Our unique concept development process insures high video engagement without having to overextend your marketing team in the production stages. In this ever evolving world of online and social video, Toronto companies should definitely be looking at adding Facebook and Instagram to their video marketing campaigns. Corporate media specialists like Groovy Concepts are just a call or click away to help you in the process. 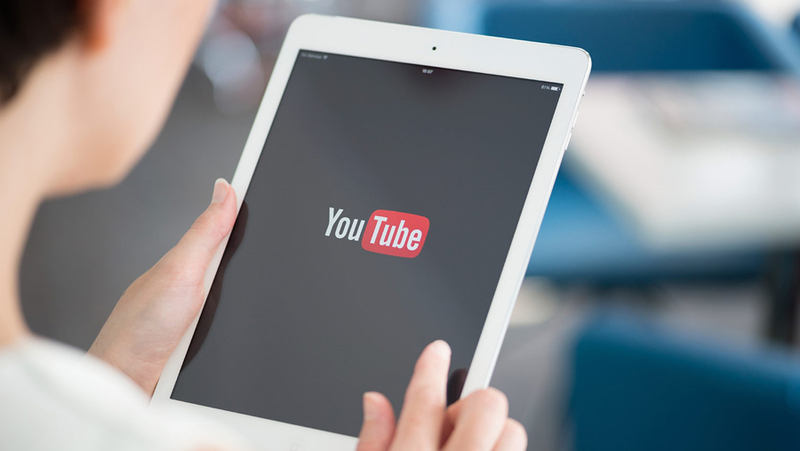 With both its long term discoverability and potential to educate your clients, the YouTube platform offers powerful benefits for B2B companies. And yet, in Toronto, YouTube is one of the most frequently overlooked social media platforms when it comes to B2B marketing. Yes, YouTube is no longer the only social media platform for posting video (Facebook, Instagram and Twitter all offer video), however on these other platforms, organic views are all based on “feeds” which means that for a short period of time after the video is posted, it will be shown in the feed of some percentage of your followers, depending on factors such as the Facebook algorithm or whether a user accessed their account during the window of time a video might have appeared. This feed-based video distribution strategy can be successful for gaining lots of “Day One” views (organic or free viewership) and well-targeted paid campaigns can also be quite effective in the feeds. But social video is not only about feeds, and for B2B video marketing success in Toronto, this distinction is key. B2B companies in usually have higher-ticket items and longer sales cycles than with B2C. During this longer cycle, potential clients in Toronto will research their future suppliers as much as they can and in multiple ways. Usually, they will turn to Google and YouTube for their research and end up watching many videos about the products these suppliers offer. And while on Facebook almost all views from a given week will be of your latest video, on YouTube almost all of your views from a given week will be of your best videos from the past. Sharing: They were directed to your videos via a direct link from the an associate, the media, a salesperson directly, or a friend. Suggesting: They saw one of your videos in the “suggested videos” column on the right-hand side of the page (while watching a different video). Searching: They came across your videos by searching on YouTube or Google. Subscribing: They subscribe to channels based on their interests and those channels talked about your products. Get B2B bloggers and influencers to post links to your YouTube videos. Bloggers and influencers particularly like to post announcement videos and interviews (under four minutes) that feature Toronto industry success stories. A video is a great complement to press releases, and short how-to videos on your products can encourage bloggers and influencers to share your videos with their audiences. After sharing, most YouTube views tend to come as a result of your video being related to other videos. And one of the most important ways to get your videos in the “suggested videos” section of Youtube is to have proper custom thumbnails. the best thumbnails include very tight close-ups of faces, usually looking directly at the camera. Using photos of people who are speaking, eyes and teeth visible, expressive face, speaking mid-sentence, are very effective. Viewers wonder what he/she is saying, so they click to find out. Your thumbnails can also benefit from a “branding stripe” running the full height of the left-hand side of the image. This is key because it makes them stand out in the suggested videos column. Remember, most people see these images very small (at just 120×68 pixels, to be exact), so the image has to stand out to attract attention. Additionally, playlists are essential to driving suggested videos. This is because YouTube looks to playlists to understand which videos are related. There’s practically no limit to how many playlists you can create, and a single video can be in many different playlists. Playlists take almost no time to create, and encourage continuous viewing as well. A good playlist strategy is essential in any YouTube marketing campaign. Youtube Search: Contrary to popular belief, videos are not ranked in YouTube search by how many views they get. Rather, the algorithm looks for how long the videos encourage people to stay on the YouTube.com platform. So to succeed, B2B marketers must pay close attention to key metrics, such as how long people are watching individual videos and which videos are referring additional views back to the same channel. you’ll benefit by using YouTube analytics to take stock of what’s working and what isn’t, and use those learnings to structure the video content more appropriately for the YouTube audience. Google Search: Often a YouTube video will come up in your Google search results. Optimized titles, tags, and description all help make this possible. Google can only index video by text and code. So for SEO purposes, the metadata around the Youtube video is actually more important than what is shown within the video itself. Doing an optional closed-caption transcript will also help Google better identify the content. These transcripts help both Google and YouTube search engines to index the video content better. In Youtube, subscribers are very important to gaining targeted views. An organic video can expect, on average, about 15% views per subscriber (without other influences). So a channel with 1,000 subscribers can generally expect about 150 views per video. Thus it’s important to encourage your potential client base to subscribe to your YouTube channel in every way you encourage them to follow you on other social media platforms – via your website, email, etc. And, importantly, get them to subscribe via clickable links in your videos and descriptions. Then, each time they find themselves on YouTube.com, they will be more likely to have your videos automatically promoted to them. They may also receive email updates from YouTube as well. each subscriber you get will give you an advantage over your competitors. YouTube is really a hybrid platform. With its high sharability, it’s more like Facebook or Twitter. But with its long-term discoverability, its ability for driving B2B leads in Toronto can be more like a content-marketing blog. This is because once a video is indexed in a search engine, it will stay there. The video can then become a primary traffic driver to other content pieces or as a top lead conversion source. The possibilities with the Youtube platform for B2B companies in Toronto are really endless. All the more reason for Toronto companies to invest in video production content on a regular basis and in properly utilizing the Youtube platform. Talking-head videos are a useful tool in building a brand. An onscreen spokesperson discussing the benefits of your products and services or showing demonstrations on how to properly use them has proven results. Many small or micro sized companies in Toronto are also getting in on the mix of creating regular talking-head video blogs to boost sales. Often times, to save on the cost of hiring onscreen talent, most companies choose a member of their team to be the spokesperson. However, going this route will require you to put in the work of finding the right person for this job. In addition to developing quality content for your series and choosing a reputed video production company to produce them, it’s equally important that your onscreen spokesperson be good on camera and be a good representative of your brand. If your spokesperson comes off boring or monotoned, your videos probably won’t attract too much attention… no matter how good the content or production value. When choosing an onscreen spokesperson from your office staff, consider more than just one candidate. • Projects passion and confidence. • Speaks with varied intonation and natural body language. • Should be able to improvise (a tasteful sense of humour always helps). • Has noticeable onscreen charisma. Remember to choose someone genuine that your target customers will relate to. A video spokesperson directly reflects on your brand – whether positively or negatively. When produced properly, a talking-head video series can attract a lot of attention to your brand. Following these little tips in choosing the right video spokesperson can make a noticeable difference in viewer engagement and can possibly even help launch your brand into new levels of success. We get a lot of questions from our clients and associates in Toronto about video production procedure and how we go about writing our scripts. Script writing for a video is of course one of the first steps in the production process and requires a substantial amount of skill and experience to be done right. There are many variables involved in creating a great video script. Here are a few rules of thumb that we always follow in writing our scripts. The term “elevator pitch” has become a popular catchphrase in business. The idea is to find a short summary that quickly and simply defines what you do and/or what your company does should you find yourself sharing a short elevator ride with a person of importance to your business. In a situation like this, you would be prepared to pitch your products or services to that person in that short period of time in the hopes of procuring new business. In many ways, a video can be seen somewhat like an elevator pitch in that you must capture someone’s attention quickly to deliver your message (or pitch). Although there are exceptions, for the most part we approach our scripts from that perspective. We know that a video has upwards of five seconds to grab attention and compel a viewer to continue watching. Within these crucial first seconds, the viewer must get a clear idea that your company and brand are awesome and that your products or services are something they need…. NOW. A balanced combination of voiceover narration, compelling video shots and/or animated titles and text, are some of the many elements that can be written in to achieve this. With video, one size does NOT fit all so we always keep the target audience (client’s target customers) in mind when developing our scripts. This comes down to having efficient dialogues with our clients and developing a thorough understanding of their target customers. Additional market research is often necessary on our part. The goal here is for the target audience to be able to easily identify with what is being expressed in the video. We ask ourselves the question: “What is the problem that this product or service solves?”. Often, creating a simple scenario or case example can help viewers get the point quickly. From there we present the solution. We explain what makes this product or service ideal and why the viewer should choose our solution over the competition. The solution needs to create a desire for the viewer to act fast. In terms of duration, today the most effective marketing videos are between 30 and 60 seconds. 90 seconds and beyond is where you start losing viewers unless your content is really exceptional. Keeping a video to within 30-60 seconds means really keeping your information and content to-the-point. Narrations, actors’ lines, shots, call-to-action text, etc. must all be properly planned out to fit within this time rage. It helps to keep sentences and on-screen text short and to use simple language…. no insider-industry jargon…. always use layman’s’ terms. Once the working draft is complete, we read through the script and time it with a normal speaking cadence to confirm that the duration falls between the preferred 30 – 60 seconds. Revisions are then done as needed and the process is repeated until we’ve achieved the right duration for the script. This works very well if the video has narrations throughout and also helps us imagine how the visuals will play out on screen. It’s also important to allow for the right amount of time for the call-to-action shot at the end (the next step the viewer can take to get started). When the working draft is complete, we submit it to the client for feedback and apply any necessary revisions. As soon as the client approves the script…. it’s lights, camera, and action time! Script and concept development is the first step and a decisive factor in whether a video will be great or if it will be a flop. If you are interested in joining the millions of companies world wide that are enjoying the benefits of having video in their marketing plan, contact a reputed corporate video production company today. Remember, video is no longer just some luxury marketing tool in it’s infancy, utilized by early adopters. Video marketing is essential NOW. And it all starts with a great script!